What’s better than winning your first World Series of Poker gold bracelet and a six-figure payday? Doing that with your significant other. That is precisely what Liv Boeree and Igor Kurganov did by emerging victorious in the 2017 WSOP $10,000 Tag Team no-limit hold’em event. The couple outlasted a field of 102 teams, each composed of anywhere from two to four players, and for doing so split the top prize of $273,964. The British and German poker pros, who have been dating for several years, earned $136,982 each in addition to their first WSOP titles. The two agreed that they would each donate half of their winnings in this event to charity, specifically the REG (Raising for Effective Giving) charity, an effective altruism project that the two co-founded. “My mind is blown,” said Boeree after it was all over. 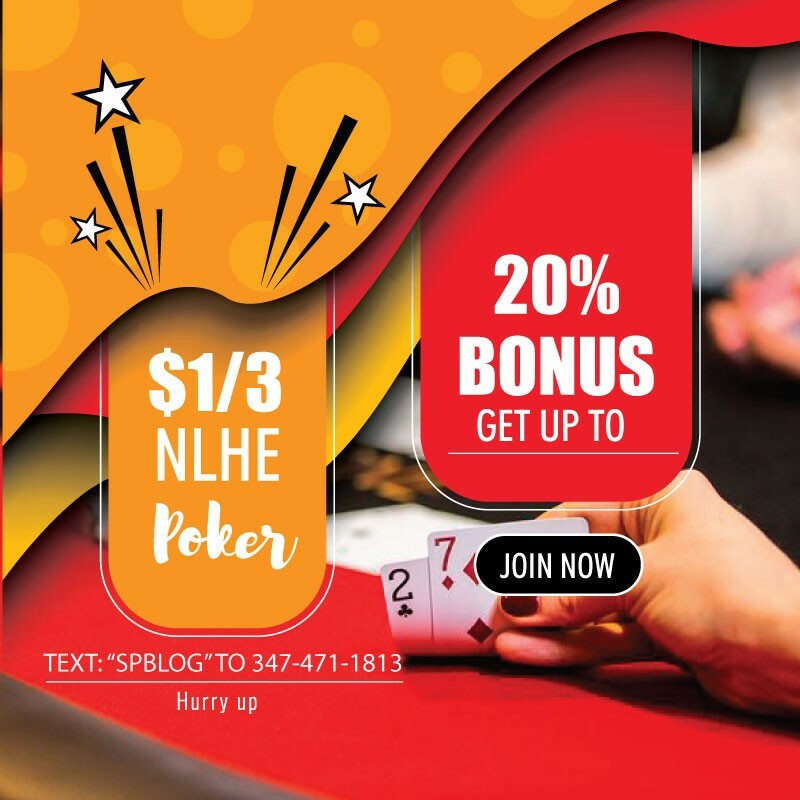 The event played much like any other no-limit hold’em tournament, but with a few key differences. Instead of every player for themselves, teams consisting of two to four players could take turns playing a shared stack of chips, tagging in and out of action as they see fit. Every player on a team had to play at least one full orbit over the course of the tournament. Another unique aspect of the event is that it allows for the removal of breaks in between levels, as players can simply tag out whenever they deem necessary and have one of their teammates substitute in for them. 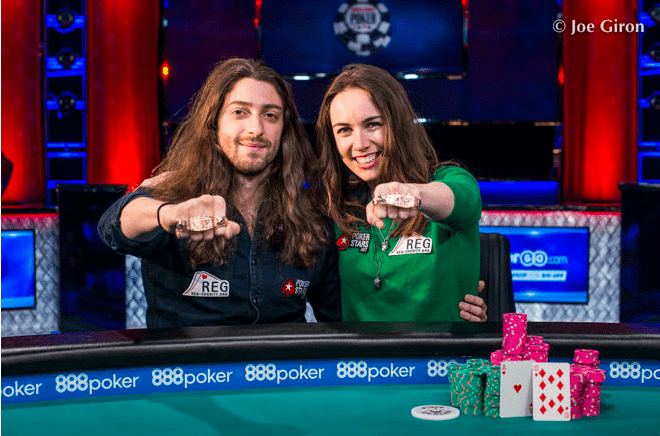 Boeree and Kurganov overcome a tough final table that featured the likes of six-time gold bracelet winner Daniel Negreanu, 2014 WSOP main event champion Martin Jacobson, two-time bracelet winner J.C. Tran and many, many more. In fact, due to the team nature of the event, 23 players made the official nine-handed final table. Solomon doubled out of the gate, putting Hollis in more than a 3:1 hole, but Hollis would work his way back to the lead with his own double after a dozen hands of action. It would be a lead that Hollis would never relinquish as, on the penultimate hand, Hollis three-bet a Solomon raise pre-flop to see a K-9-3 flop. Hollis made a continuation bet and, after Solomon chose that moment to make his stand with an all-in, immediately made the call and turned up K-J for top pair. Solomon had been caught; his 10-5 was a complete whiff and, after an eight came on the turn, that whiff turned into the end of his tournament life in crowning Bryan Hollis the champion of the Casino Employees’ Event. Daniel Negreanu’s team, which also included Eric Wasserson, David Benyamine and Mark Gregorich, entered the final day with the chip lead and six teams remaining. On the final day it was Boeree and Kurganov who were in the ascendancy. Kurganov, a decorated super high roller event regular with more than $12 million in prior tournament earnings, played the majority of the hands on the final day. Boeree has plenty on her resume as well, including a European Poker Tour title and more than $3 million in prior earnings. Their team eliminated the fourth-place team of Anthony Ajlouny, David Fong and Mike McClain to take the lead into three-handed play. The final three teams battled for a while, but eventually Kurganov was able to score the next crucial knockout. With blinds of 20,000-40,000 and an ante of 5,000 Negreanu raised to 90,000 from the button. Kurganov three-bet to 290,000 and Negreanu called. The flop came AHeart Suit7Heart Suit6Club Suit and Kurganov bet 185,000. Negreanu called and the turn brought the 5Diamond Suit. Kurganov moved all in, having Negreanu covered. Negreanu ultimately decided to make the call with the ADiamond Suit8Club Suit for top pair and an open-ended straight draw. Kurganov was ahead with the 6Heart Suit5Heart Suit for two pair and a flush draw.The JHeart Suit on the river sealed the deal, sending Negreanu and his team to the rail and setting up the heads-up battle between team Boeree-Kurganov and the team of Ankush Mandavia and Joe Kuether. Mandavia was the only player among the remaining teams with a prior WSOP title under his belt, which he earned in a $5,000 turbo no-limit hold’em event in 2016. He began heads-up play at just worse than a 2-to-1 deficit. He was able to mount a comeback before Kurganov regained control. In the final hand of the tournament Kurganov raised to 125,000 (with blinds of 30,000-60,000) and Mandavia called. The flop brought the QSpade Suit9Club Suit8Heart Suit. Mandavia checked-called a bet of 80,000 and the turn brought the JSpade Suit. Both players checked and the KDiamond Suit completed the board. Mandavia bet 250,000 and Kurganov announced that he was all in. Mandavia made the call only to have Kurganov reveal the AHeart Suit10Diamond Suit for the broadway straight, made on the river. Mondavia has the QDiamond Suit10Heart Suit for the a lower straight. With that his team was eliminated in second place, with $169,323 to split up between Mandavia and Joe Kuether.